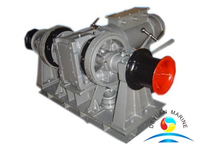 Marine hydraulic anchor windlass is an important machine used on seagoing vessle for lifting and returning heavy anchors to and from the seabed, it is mainly install on the first deck of ships. 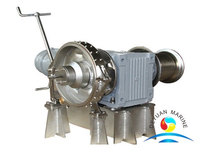 Ship anchor windlass can be powered by electric motor or hydraulic power unit, the hydraulic power unit can also power other equipments if needs, means few equipmnent can share same power unit to reduce cost, such as to power other winches, shak jaw etc together.. 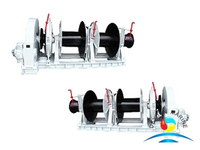 This way are already very popular use by many customers. 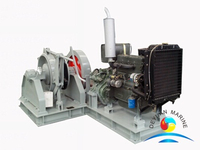 Customers just need to make sure all equipments total power less than HPU power capacity. 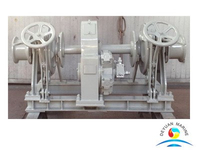 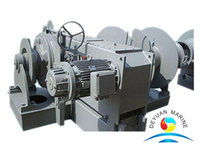 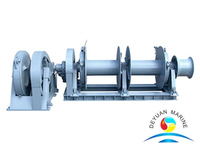 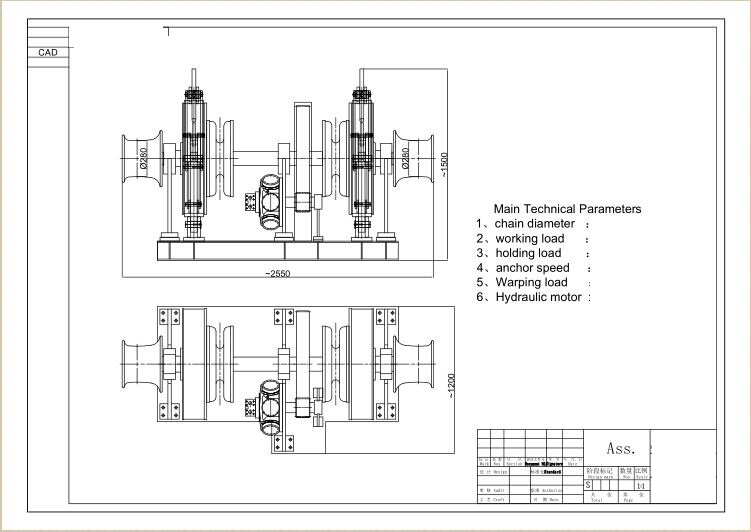 Above type is a double anchor windlass which driven by hydraulic, double gypsy is symmetrical, they are in same main shaft, this double anchor windlass include double gypsy, main frame, transmission gear, hydraulic motor, hydraulic pumps, oil tank, oil pipe, valves etc. 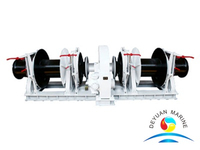 We supply mainly Single or double gypsy anchor windlas, We also can offer total package for mooring & towing equipment, like chain stopper, anchor, anchor chain, mooring ropes if required. 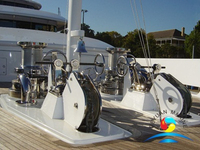 All marine double gypsy anchor windlasses can come with classification certificate on request. 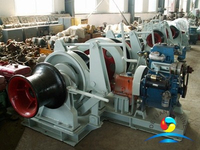 Pls feel free to contact us if you are looking for an anchor windlass at the moment. 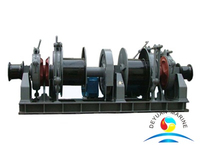 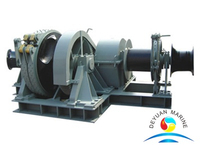 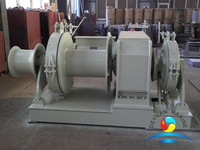 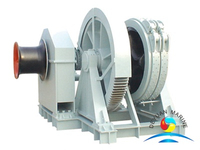 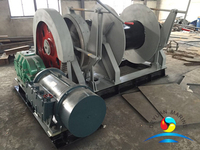 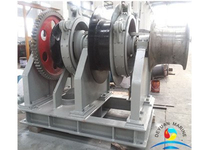 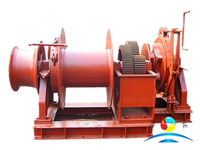 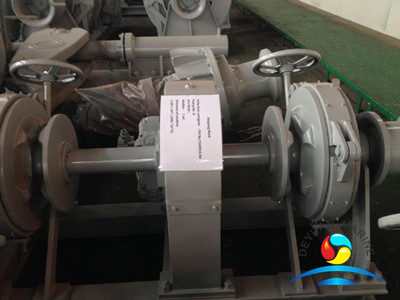 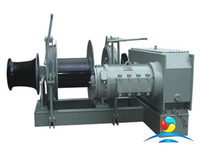 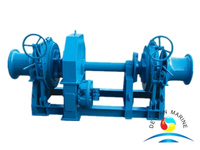 More double drum anchor windlass can be offered,pls contact us for more details.